A rental property on Euclid Ave., in the University Area neighborhood of Syracuse. The Southeast University Neighborhood Association has been fighting back against an invasion for decades. "We’re not squeamish about living with students," says Michael Stanton, head of the homeowners association, known as SEUNA. "The thing is that, if the current trend continues, there won’t be any families. In a matter of years, they’ll all be replaced by rentals." But SEUNA's fight is not so much against students, but the landlords that buy homes, divide them up, and rent them to students. Stanton argues that’s lowering property values and the quality of life in the neighborhood. 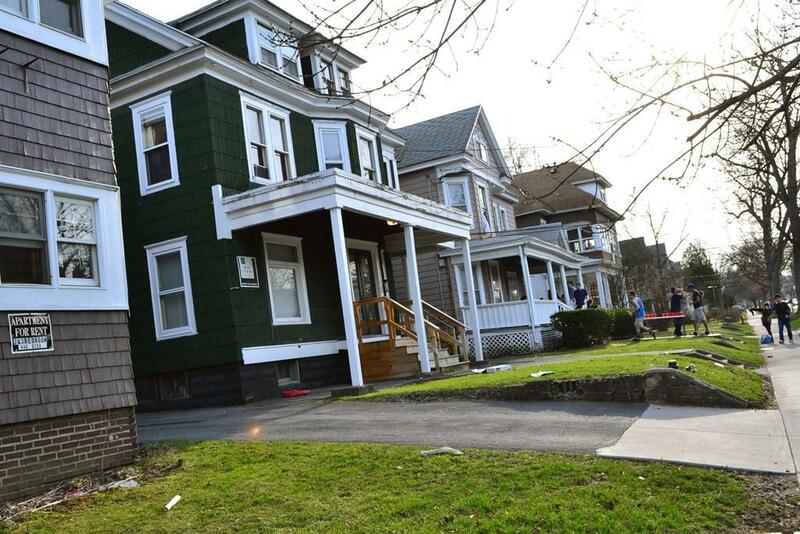 The residential area around Syracuse University has always had a mix of students, professors, and families enjoying the proximity to the campus. Now, the powerful homeowner’s association has a new plan to control the mix in this neighborhood, putting them at odds with a group of landlords. This region just east of the campus was designated a special neighborhood district in 1991, and since then SEUNA has tried to limit the number of homes that become rentals. Census data shows that the number of students living in the neighborhood hasn’t actually gone up much since the early 90’s. But Stanton says the neighborhood is still changing. Euclid Ave., the main road through the University Area neighborhood, is dominated by student rentals. The neighborhood association's last attempt to control the mix – linking the number of parking spots at a property to its number of bedrooms – was deemed illegal after The Syracuse Property Owners Association (SPOA) challenged the city ordinance in court. So now SEUNA is back with a student zoning ordinance that would only apply in the special neighborhood. The city would create a special zoning classification for homes southeast of the campus that house 3-5 students. "The idea is to maintain the balance. There is a balance now. It’s actually tipped a little away where it should be," explains Stanton. Stanton is hopeful the new zoning will thwart the spread of rental properties in the neighborhood. Existing rentals would be allowed to stay as they are. Going forward, owners who wanted to turn their properties into student housing would need to have them re-zoned. There are a dozen towns in Pennsylvania, along with Poughkeepsie, N.Y. that have similar ordinances. Common Councilor Kahlid Bey represents this part of Syracuse. He's been playing the middleman between SEUNA and the landlord association opposed to the ordinance. Bey says there are still a lot of legal questions over whether or not the new type zoning category can even be created. "The students, unfortunately, are caught in the middle." "If it could be deemed that is a business. Because the issue is the landlords, not the students," Bey says. "The students, unfortunately, are caught in the middle. The issue is it’s the landlords that are buying the properties and breaking them up, not students." Several commercial landlords declined, or didn’t respond to interview requests. But a legal brief from lawyers for the landlord group, SPOA, asks the Common Council to “scrap” the plan. The SPOA says the proposed change is illegal because it violates uniformity rules of zoning. It also says it would violate student tenants’ privacy. The original draft of legislation included the creation of registry of the student-occupied homes. But Bey says that will likely be taken out. Kim Farrell and her husband are small-time landlords in the neighborhood. They own a two family home (complete with three dogs) about a mile from the university. Farrell’s parents used to live upstairs, but since 2006 they’ve rented the three bedroom unit out to graduate students. The Farrell's go about being landlords with a different attitude. The lease they give their tenants has lots of ink in it about being a good neighbor and respecting the people that live next door and downstairs. The part about paying the rent on time comes second, she says. "People have commented on the lease, how cool they think it is, because it really makes them think before they move in," Farrell says. She wrote a lengthy letter to the Common Council raising concerns about the zoning change. Farrell says a student zoning classification wouldn’t fix the problems that bug SEUNA: some poorly maintained homes and a few inconsiderate student tenants. "We all have an obligation," Farrell says. "Even if we don’t live in that property, if we own a business in an area, we have a moral obligation, I think, to get an understanding of how we can be good neighbors." Farrell also expresses concern that rezoning homes will make them harder to sell in the future, leading to vacant properties. Some homeowners and small landlords are planning on meeting soon to discuss the proposal, she says. The Common Council has taken the issue off the table for now in order to review the legislation and rework it. Four major hospitals; three large colleges; dozens of churches, charities and government buildings. They drive Syracuse's economic and cultural activity. But leave the city's bank account hurting for revenue. 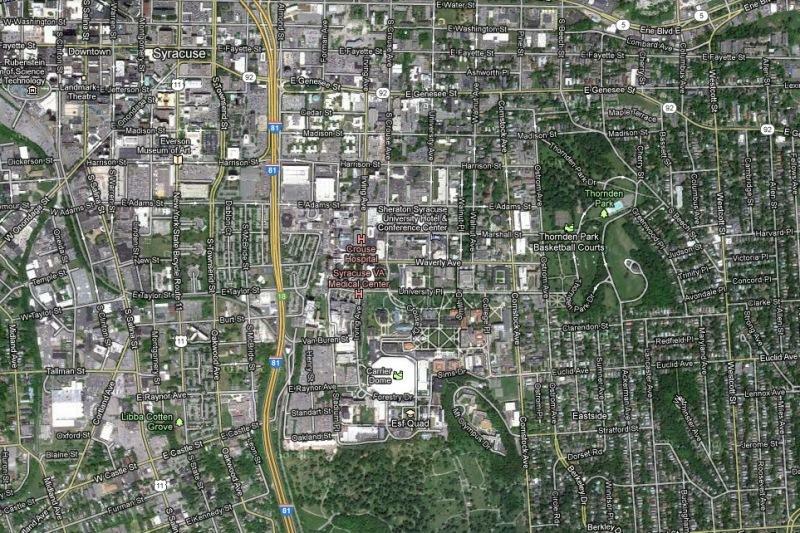 In all, Syracuse nonprofits and other tax-exempt properties make up 56 percent of the city. That's land City Hall can't collect taxes on. Add to that properties with temporary tax breaks given to encourage development. Add to that more than 3,000 smaller plots throughout the city that are vacant or delinquent on their taxes. "This is characteristic of the type of problem the city has in collecting property taxes," says Common Councilor Khalid Bey, chair of the council's economic development committee.